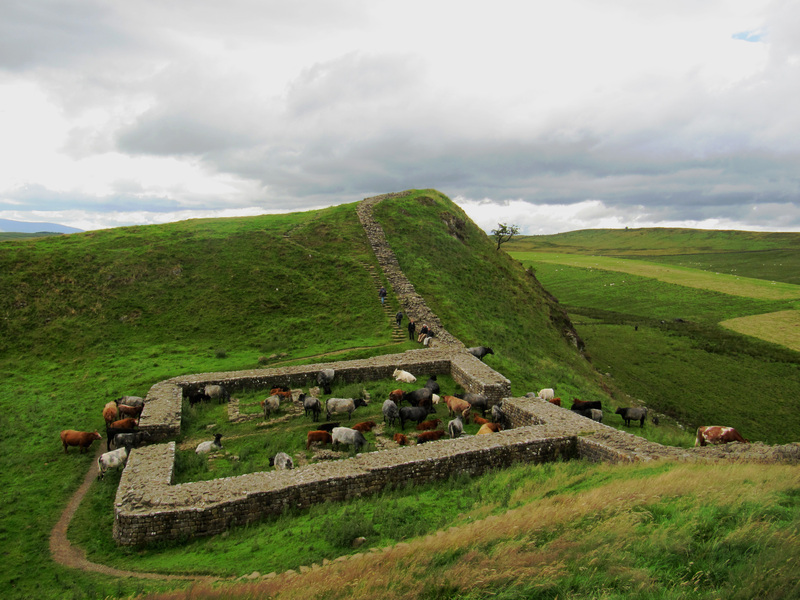 We did four sections of the Hadrian’s Wall Walk. 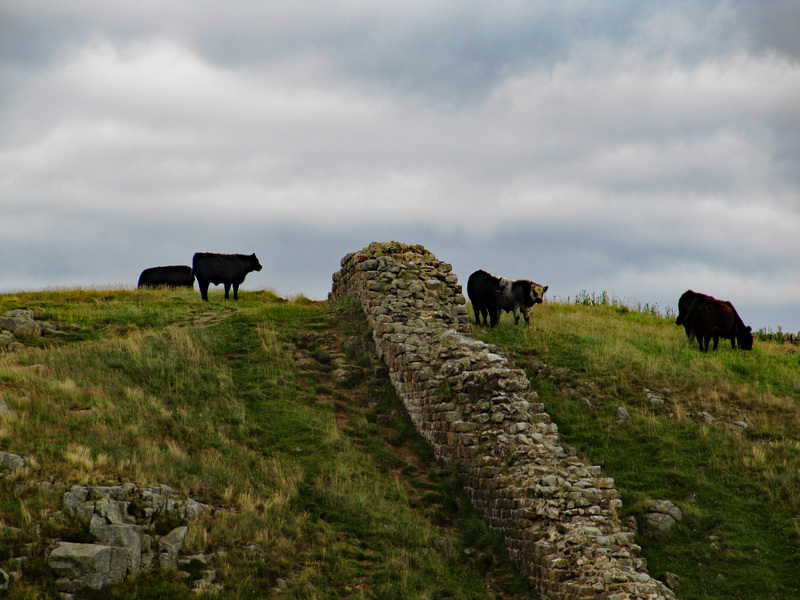 The trails follows the wall the Romans, by order of emperor Hadrianus, build between England and Scotland (from 122 AD). Reasons for the construction of the wall vary. Hadrianus himself build a villa in Tivoli, near Rome, much better weather. And the Brexit was unknown those days. We explored the central and also most beautiful part of the trail (total length of the route is 135 km, between Newcastle and Bowness-on-Solway).The trail is recommended for people who love the combination of archaeology, learn the history and exercising outdoors. Moreover it can be arranged easy and economical thanks to the good infrastructure. Getting there: a flight to Newcastle. You can order a van in advance to bring you to the start of your trail (we did it by OTS ( tel. +44191 3952046, 45 minutes from the airport, 85 GBP for six persons). Other forms of public transport last much longer. Accommodation: the youth hostel in Once Brewed ( 2018: now completely renovated). You can eat in the YH or in the inn next door. For our walks we used the bus service that runs along the entire route: by bus to the daily start of the walk, walking to the daily endpoint and - if necessary - by bus back to the YH. In this way you don't have to walk with your backpack. 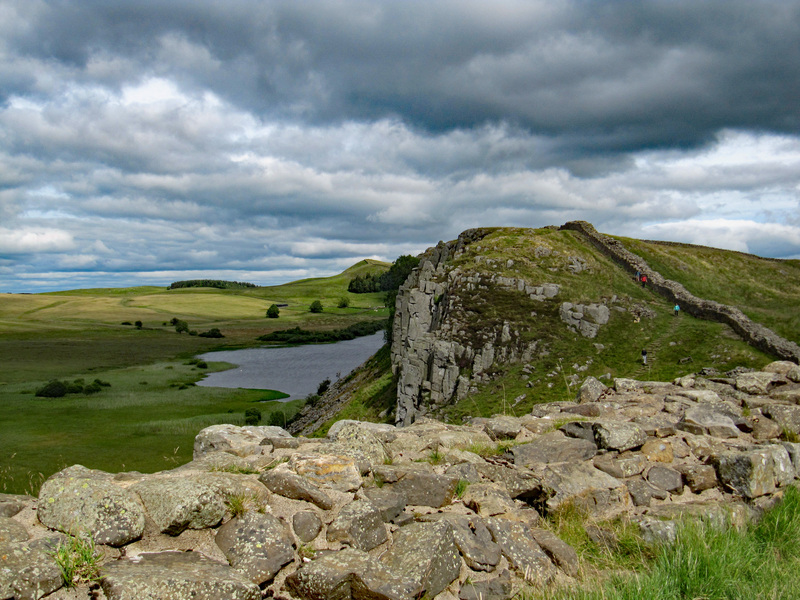 Maps: description of the trail and maps: a Cicerone guide; Mark Richards, Hadrian’s Wall Path. Indication of height: up to 400m. 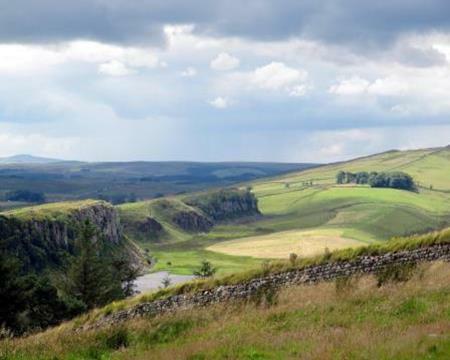 Day 1: Once Brewed - Vindolanda ( Roman Fort, museum) - Once Brewed.......………. 10 km. Day 2: Once Brewed - Housestead’s Fort - Once Brewed.........................................……..12 km. Day 4: Once Brewed - Cavoran Roman army museum- Greenhead. On trail: Little remains of the wall itself; many stones have been reused in the past centuries for buildings in the area. But there is still enough left to get a good idea of the gigantic job that has been done here. The views are breath-taking; the historical sights are numerous ("there's history every step of the way") and the trail is very well marked: clearly marked with the National Trail acorn symbol and waymark arrows. It’s listed on the World Heritage Site. Most of the Wall runs through remote countryside.Though there are villages and farms near to the path, there are not many places to buy food and drink. 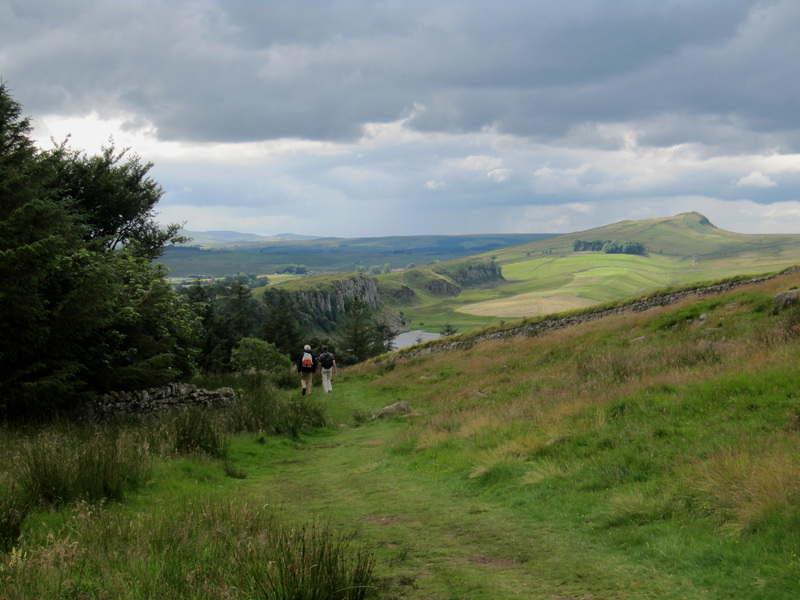 Don’t underestimate the descents and the climbs on trail: the Romans only walked over the tops! Our recommendation is to walk west-to-east for more favourable weather conditions: wind/rain at your back and afternoon sun behind you instead of in your eyes. Once Brewed is connected to the Pennine Way Central and North.